Octavia doesn't want to go through with the fighting pits but can't seem to find a way out of it. Half her people want to be loyal to Madi now, so she is advised to remind them what is at stake. She tries to help Bellamy win but neither he nor Monty are willing to hear her out about this. Instead, Monty worked on a way to survive without going to war. He shows Octavia that the farm could work but she doesn't want to hear it. The fighting rages on but Monty bursts in and tells Wonkru what he discovered and how Octavia didn't want to tell them about it. They all turn on Octavia who then goes and burns down the farm so there are no other options except to march to war. 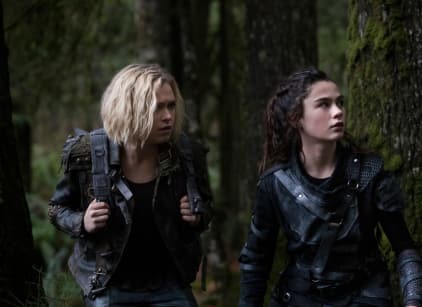 Meanwhile, Madi and Clarke head to Shallow Valley but fight along the way. Clarke wants to remove the flame but Madi says no. Madi then starts having nightmares of moments from previous Commanders lives. Clarke still agrees not to remove the flame and when they get to Eden they see that McCreary is in charge and wrecking havoc. Abby is desperate for pills the whole episode and Vinson manages to gain her some but ends up biting and attacking McCreary's men in the process. Abby ignores the horror to focus on the pills and is close to overdosing.